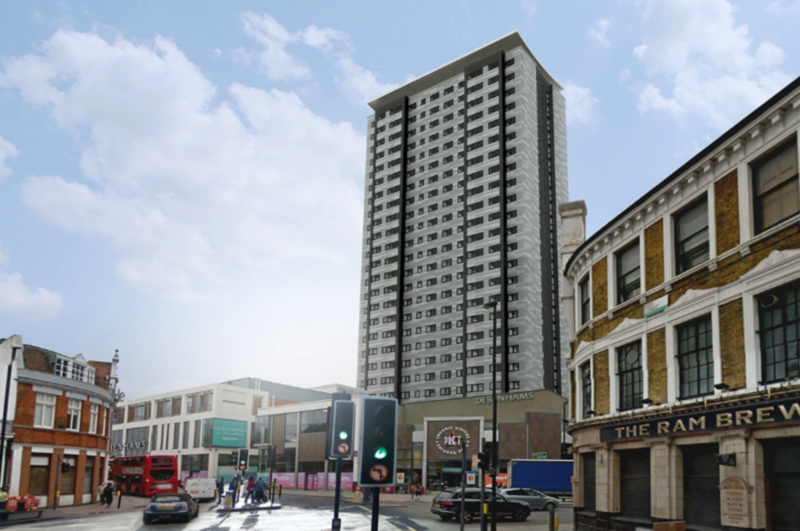 Sudbury House - a 25 storey tower block in Wandsworth, London. The site is situated on the one-way traffic system in the heart of the town centre and surrounded by the congested and busy Southside shopping centre. Following the tragic fire at Grenfell Tower in June 2017, BPG Architects + Surveyors were directly engaged by Wandsworth Council to undertake urgent reviews of two previously over-clad tower blocks - Castlemaine Tower and Sudbury House. The initial report by BPG concluded - in conjunction with various departments within the council - that full renewal with a modern compliant over-cladding system was the most satisfactory way forward, to ensure the shortest practical timescales and the highest safety standards for residents could be achieved. The 18 month programme to fully strip, re-clad and upgrade Sudbury House began in September 2017. As part of the project, four giant pillars were to be erected over a period of four nights in a single week, during January 2018. 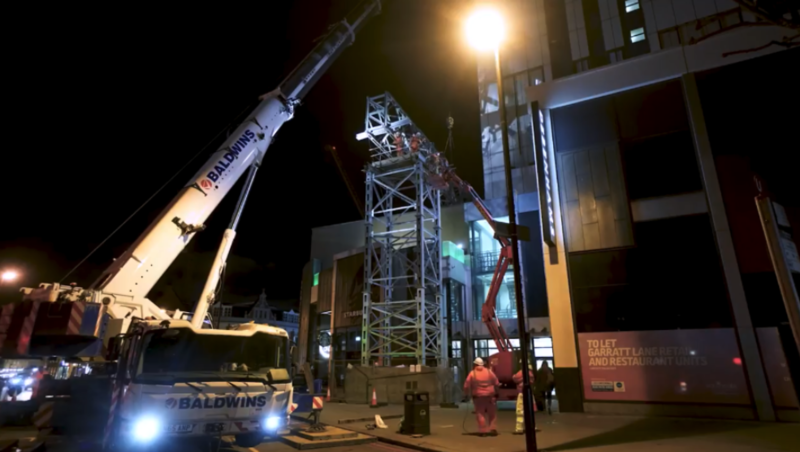 The project would begin with pouring concrete for the foundations, then a specialist crane was to be used to install the steel struts, which would in turn support a platform from which to complete the cladding work. With our experience in capturing construction projects, we were asked to for advice on how best to capture footage of the work and create a broadcast-quality film documenting the entire process. Following a period of detailed design, planning, logistics and preparatory works by BPG, the installation of the structure was to take place over a series of four cold January nights. After an initial recce of the site, which allowed us to assess requirements in terms of both health and safety and artistic angles for shots, we recommended a camera operator to be onsite across the four nights the work was taking place. The Council shut off the surrounding roads, which made the work safer - and also made filming a lot easier. Our camera operators captured the entire process - from 400 tonne crane deliveries to the arrival and erection of the steel towers, plus the three 31m long steel trusses, each weighing in at 18 tonnes. Both BPG and Wandsworth Council were delighted with the finished film, which was posted across BPG's YouTube, Vimeo and social channels to showcase the speed and quality of the work undertaken, and to demonstrate the deep commitment to the safety of the residents of Sudbury House.